The California 4-H Management Board is proud to host the California 4-H Youth Summits. Youth summits are three-day weekend leadership conferences hosted in four locations around the state. 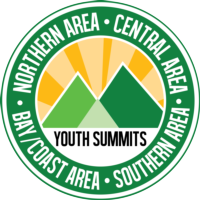 Youth can attend any of the four summits, not just the one hosted in their area. These leadership development events are for ages 11-19, depending on the Summit; see descriptions below. Note: Ages for all Summits are age by 12/31/2019. Ages: 11-16 year olds can register as participants. Content is designed for ages 11-13.